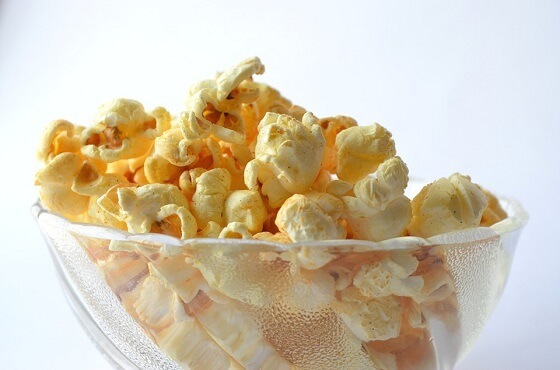 If you are a fan of cheese popcorn, you will love this recipe for Cheetos popcorn. It is a copycat of the popcorn found at Texas rodeos. You will want to pop your own corn. Hoosier Hill makes the best cheese powder for this recipe or you can use Kraft Mac N Cheese powder. You want to add the Cheetos but make sure you keep the ratio of five parts popcorn to one part Cheetos. You can serve right away or keep warm in a slow cooker for a party. If you like cheese popcorn, one flavor worth trying is Cheetos popcorn. Cheetos popcorn is made from cheese flavored popcorn, mixed in with Cheetos. However you choose to make the cheese popcorn, the ratio of that popcorn to actual Cheetos should be about 5 to 1.